Do not hesitate to contact the authorized Overhead Door Company to quickly and easily fix your garage door system. Garage doors are under a tremendous amount of tension and can be very dangerous. Working on a garage door can result in injury if you do not know what you are doing. Here are some common garage door problems (and repairs). The garage door won’t open (or close). You might just need new batteries in your remote, keypad, or wall button. Or perhaps they need to be reprogrammed. If the door is stuck open, check to be sure the photoelectric eyes near the base are aligned and not obstructed. The garage door sticks. Tracks, rollers or hardware may be dirty. Clean everything with a little household cleaner, then re-lubricate moving parts with a lubricant that is recommended by an IDA Accredited garage door company. The tracks may have small dents or flat spots which can be gently tapped out. The garage door sags on one side. If it’s a multi-sectional door, the hinges on one side may need tightening. It’s also possible the tracks on each side are out of alignment – use a level to check. The garage door closes then reopens again. Closing pressure or limits may be out of adjustment; you can adjust it, but do so in small increments. The garage door doesn’t close all the way. Something may be obstructing the photoelectric eyes, or they may not be aimed directly at one another. If they’re OK, you can increase the closing pressure or adjust the limits, but again, do so in small increments. Broken springs or a broken motor. These are the most serious garage door repairs. If you have a broken spring or need repair to your garage door opener, you will need to contact an IDA Accredited garage door company. It is always recommended to replace springs in pairs, to ensure balanced operation. Overhead Door Co of Daytona Beach is your authorized garage door repair dealer for Daytona Beach, Port Orange, Ormond Beach, New Smyrna Beach, Deltona, Deland, and Debary. 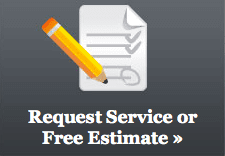 Garage doors need service and repairs just like a car does. Most people don't know that and just wait until the garage door disrupts their life and they end up paying a lot more then they should have paid.Automated Home Services, Inc. in Miami, FL is a very good company that provides installations services and garage door repairs for all the residential and commercial needs.Thank you!! Garage Door is always important specially if it is for commercial Garage purpose. At the time of searching about a Commercial Garage Doors Houston, I found this blog called Overhead door. Here is Overhead Door Company to quickly fix anyone’s garage door system. Overhead Door Company is very much conscious about the common garage door problems. That's a nice information to get a safe door which is best for home to control the injury by the doors. Get the best and professional Door Repair Services provider at best price on atlasdoorrepair. I bought a garage door from them, and they subcontracted Overhead Door to install it. Double door installation was done within 3-4 hours. Appointment started about on time. There are no problems with quality (after a month). The suggestions made by the installer about my garage door / opener situation matched Internet wisdom. Installer had no problems working with the opener that I installed myself. Good to know about opening garage door. 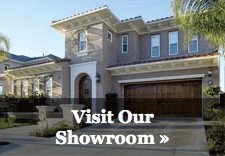 If you are looking for Garage Doors Vancouver, then visit comfortdoors.ca. Want to improve security in your home and thinking of repairing all your doors. Then, get all your doors repaired from keys247 who provides the Locksmith South London and other services.